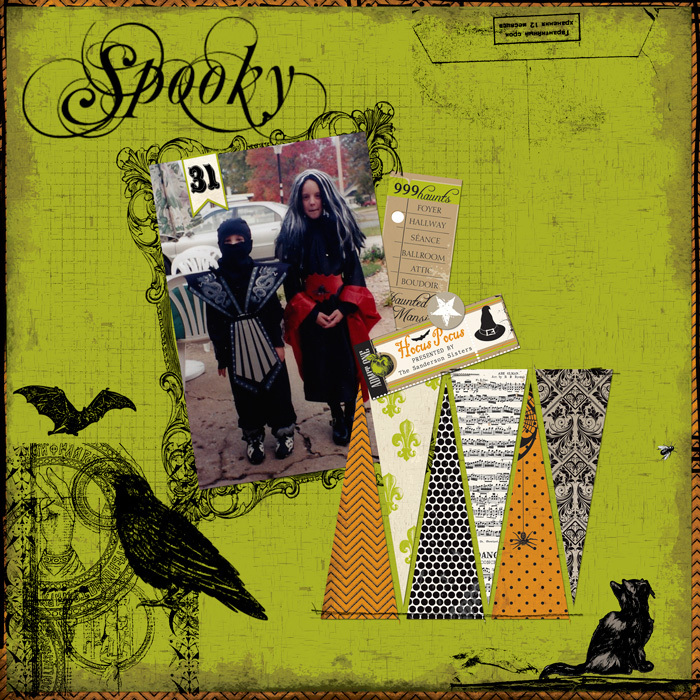 I used the fun Halloween Kit by Echo Park called Chillingsworth Manor to create this "Spooky" digital layout. I had a rough time finding my kids Halloween photos to scan for digital. A few years ago I made a mini album with all of the their Halloween photos, apparently I used the originals. I had to lift this one out of the album and scan.